We have been talking about the Fresh Conference for sometime now. We were very fortunate to be part of it, as it is about everything that generates value in meetings and makes them more effective, which is where Klewel solutions provide value. 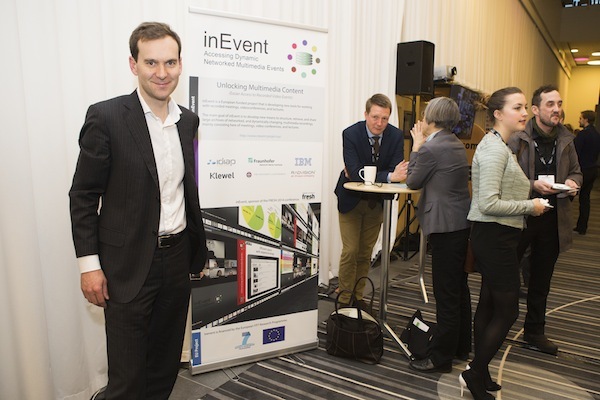 As an active part of the InEvent Consortium, a research project with a main goal to develop new means to structure, retrieve, and share large archives of networked, and dynamically changing, multimedia recordings, we were the official webcasting provider of the event. Imagine going to a place where you can learn about what you are the most interested in and you get to work there too?! Now, that is what we call fortunate and that is what Fresh represented for us. This year, it was held in Copenhagen, where participants from all Europe and more gathered to get all the knowledge from the experts, as Fresh also focused on the latest innovations to design meetings. Innovation and creativity is not anything new at Fresh, so for our delight, the first day started with a very easy, yet effective way to get to know each other. It was called the “Storytelling round the campfire” and it allowed participants to share their story, highlighting their qualities and personal successes. The session was set up as small groups around 15 “campfires” symbolized by little battery lamps. 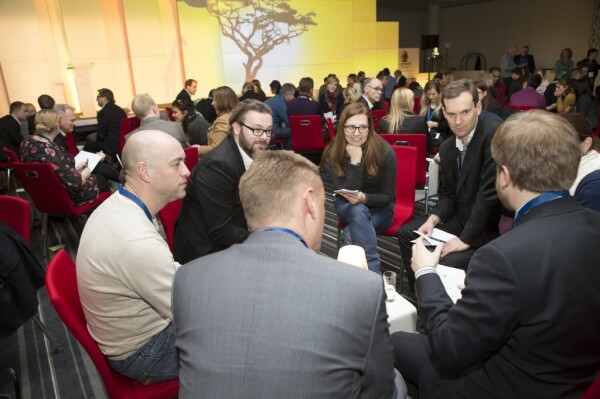 Getting to know other people by telling stories at day one of the conference and forming teams were key at the start of FRESH14. It was a very clever way to break the ice and ge the conversation going. After, the keynote speech was brought to us by Kurt Mauerhofer, who is senior captain at Swiss International Air Lines, pilot and instructor at Swissair, an expert in team building and leading successful teams. His expertise in managing successful teams is something we can all relate to. Fresh has always been a place for innovation, so we expected some new and interesting stuff. But even we were surprised to “run into” the first ROBOT participant. It (it was acually a she, but we are talking about a robot, afterall) was present during the whole conference, and was able to interact with the audience. The big innovation was the Double, a robot allowing a participant to drive around at the FRESH venue while staying home in other countries around the world. The ‘Robot participant’ was even invited to the stage to be interviewed. 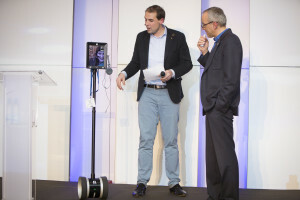 The participant was in Belgium and controlled the robot even onto the stage. Cyborg participant, a robot allows a remote/on-line participants to be a bit more present; ‘walking around’ becomes an option. If you are watching The Good Wife, I am sure you are familiar with the concept of having a Robot co-worker as it was present at one of the episode on the last season, that looked a lot like this ROBOT participant. Never thought at the time that it was more than just a funny gadget and can be so useful. Find out more by clicking here. By being on of the technical side of the meetings industry and being the official on demand webcasting provider at Fresh, Klewel was presented as a key player in the content managment and added value side of the event industry. With our state of the art capturing station with a newly published Triskel v1.0, this was really the first event, where everything was tested and let’s just say that we did really well. There will be many more posts to come from this event, because the amount of new ideas and innovation is always seem endless at Fresh!